Chicken & bacon pan fried sandwich! Need a new delicious lunchtime treat? 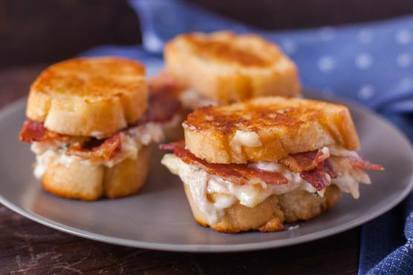 What about a pan fried sandwich with chicken, Bacon & cheese? Try this with some leftover chicken! Or you could substitute turkey (who else is thinking Thanksgiving leftovers?). Let us know how yours come out!